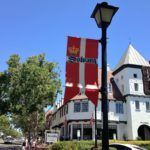 My introduction to Solvang, California Danish Town started way before I first stepped my foot on its ground. For years, unbelievable amount of praise in its address was bombarding me from different directions. Some people were praising Solvang for reviving their memories about their Europe vacations. Others were enjoying all the sweet goodies and wine that the city has in abundance. The conversations about this little Californian Denmark only ignited my curiosity. 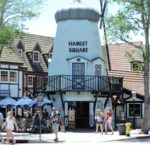 And as it happens quite often if not always, I had to see it for myself and compile a quick guide to Solvang along the way. Solvang, which means “sunny field” in Danish, was founded a little bit over 100 years ago by a group of Danes who traveled west in order to escape the Midwestern winters. Located in the Santa Ynez Valley, California Danish Town is just two hours away from Los Angeles. The village is notable for carrying on the Danish traditions. 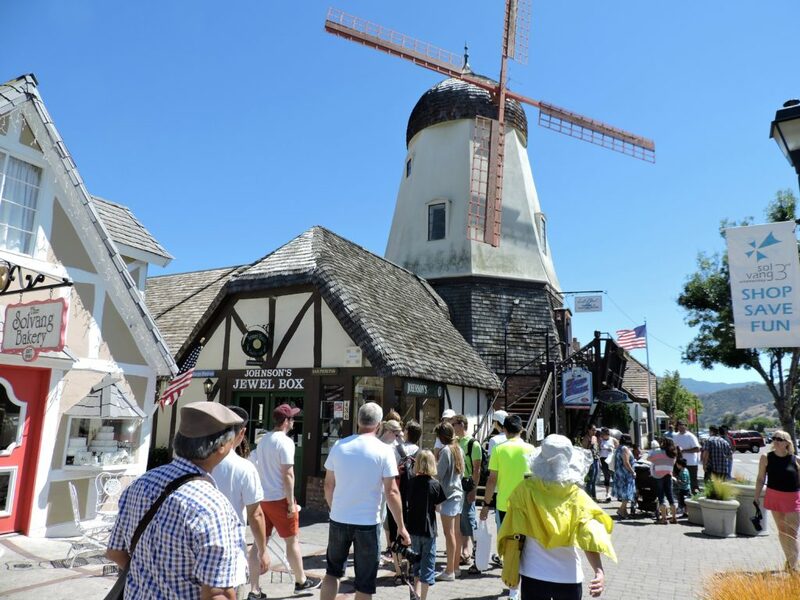 Wandering the streets of Solvang, you will admire the traditional Scandinavian farm-style architecture and windmills of all sizes that add a special charm to the city. 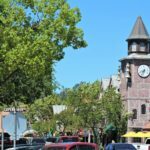 If you are planning to visit the town in September, make sure to check the guide to Solvang along with town’s event schedule beforehand. You surely don’t want to miss the Danish Days annual festival and learn more about this Scandinavian culture. But for now, let’s start our Solvang tour and get to know this California Danish town a little bit better. Start your day and tick off the first item on the guide to Solvang with a traditional Danish breakfast. You won’t have any problems finding a place that offers a taste of Denmark here. 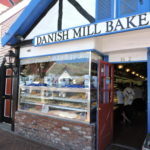 Solvang has five authentic bakeries and more than thirty restaurants and cafes serving not only Danish but also international and traditional American cuisine. Make sure to try the famous aebleskiver, powdered sugar-dusted Danish pancake balls served with raspberry jam. After you are done with your breakfast, take a stroll around the city and enjoy stunning Danish architecture with town’s famous windmills. 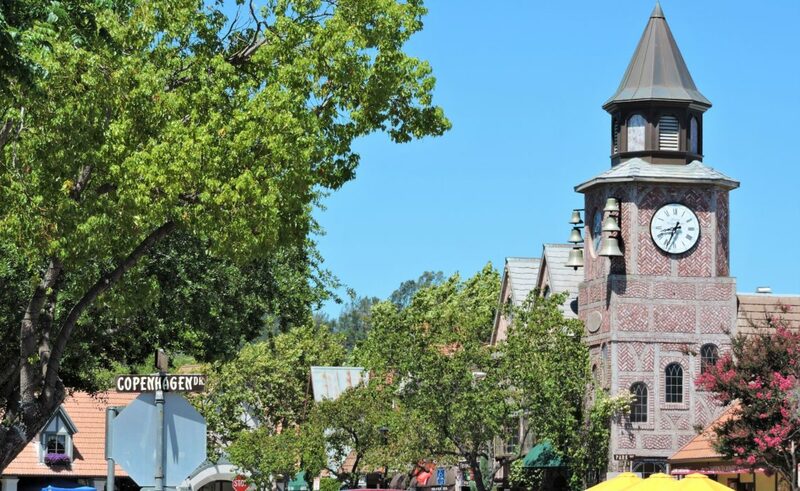 Other attractions on this quick guide to Solvang include gorgeous clock tower, statues of Hans Christian Andersen, world-famous Danish writer best known for his fairytales, and Little Mermaid fountain, a half-size bronze replica of the popular statue in Copenhagen. The afternoon agenda on our guide guide to Solvang comprise of continuous indulgent in Danish cuisine. Be sure to take advantage of a smorgasbord, a type of Scandinavian meal served buffet-style with multiple hot and cold dishes, and taste frikadeller (meatballs), medisterpolse (sausages), and rodkaal (red cabbage). As with the breakfast, your lunch choices are big since all these Danish delicacies are served in most of the restaurants of the city. The next item on our guide to Solvang is educational. Being intrigued by the beauty of the town, you might want to learn more about its history and tales. 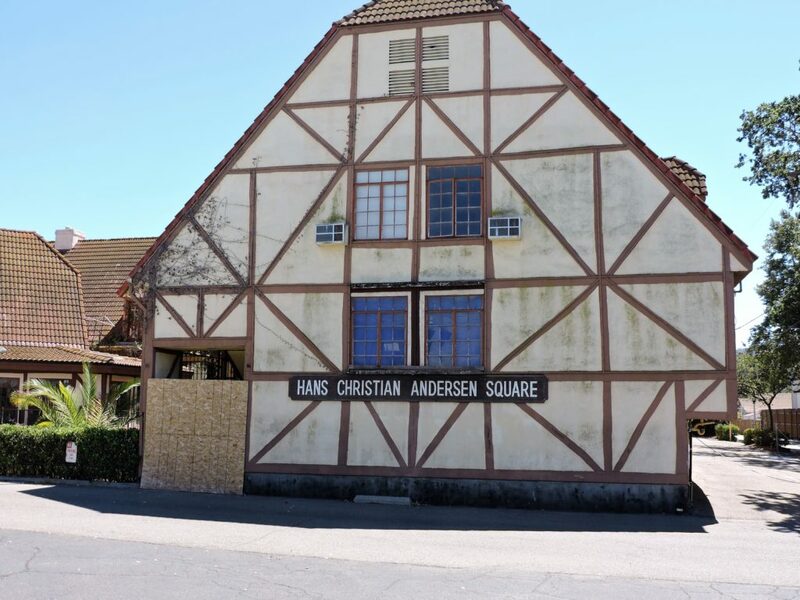 Solvang’s museums will give you a good overview of Danish history and heritage. You can start your museums’ tour by visiting the Elverhoj Museum of History and Art, the Hans Christian Andersen Museum, and the Solvang Vintage Motorcycle Museum with its collection of some of the most rare vintage and classic motorcycles. Slowly move to Old Mission Sant Ines that opens a panoramic view of the surrounding area. 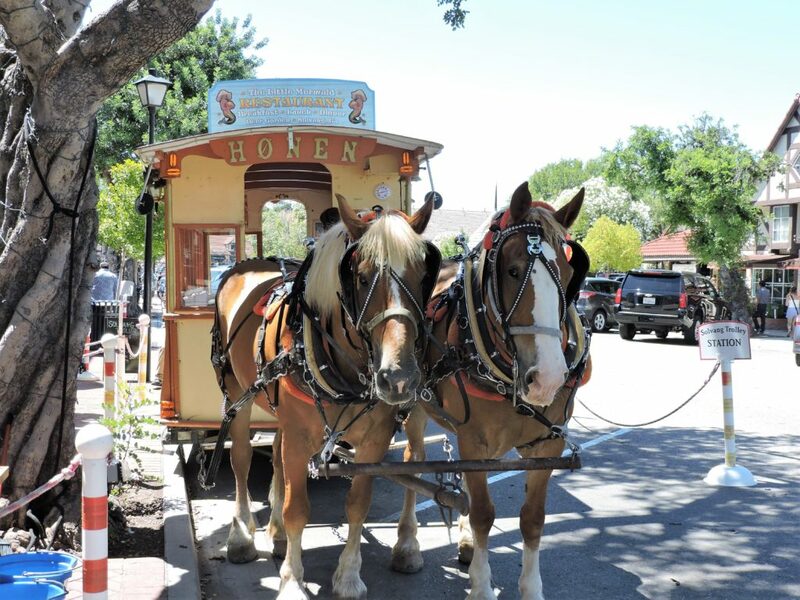 The last afternoon program on this guide to Solvang is all about having fun. If you are for a real Scandinavian experience, take a horse-drawn trolley ride. And of course, any trip to this Danish town wouldn’t be complete without getting a few memorable souvenirs. 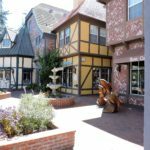 You will be surprised to find out that Solvang has more than 150 stores offering Danish arts and crafts, jewelry, clocks, and handmade lace. There are plenty of little shops where you can buy locally made Danish chocolate. 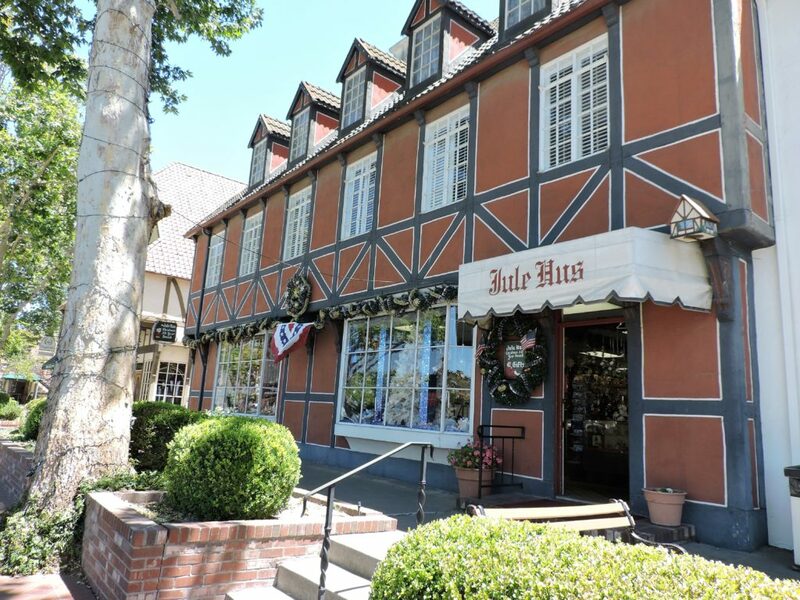 My favorite store in the Solvang is Jule Hus. Walking into the store, you instantly feel like you have traveled in time to that “wonderful time of the year”. No matter what date is on the calendar, inside Jule Hus is Christmas all year round. Who wouldn’t like it? It was a busy and full of activities day. Now it’s time to kick back and relax. Try different cuisines, but don’t forget the Danish dishes, you are in the Little Denmark for goodness’ sake! If you like wine and beer, you can easily satisfy your taste buds here. 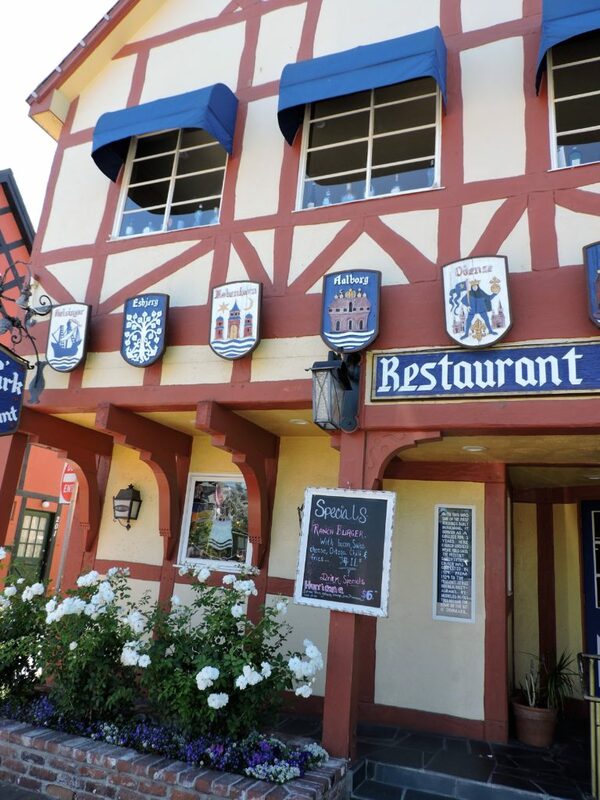 Solvang has more than a dozen wine and beer tasting rooms. Show some support to the local communities and try some of the local wines. Enjoy free concerts and performances that are quite frequent during the summer months. that look so German!!!! can’t believe is in the middle of California.